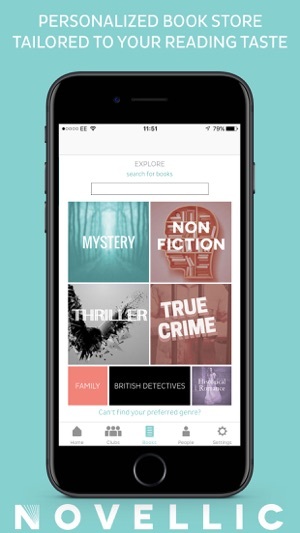 Novellic is the ultimate app for book lovers! 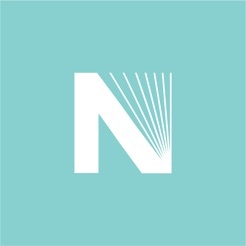 Novellic helps readers find and join great new book clubs! Make friends and discover the best new books to read. Already part of a book club? Great! 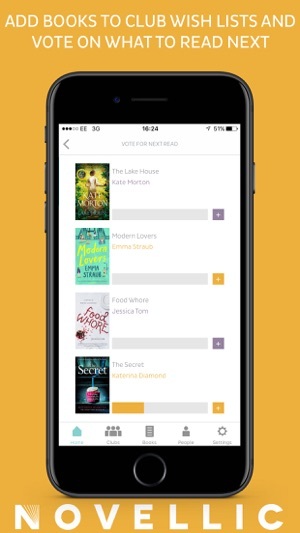 Use Novellic to keep in touch and to choose what books to read next! 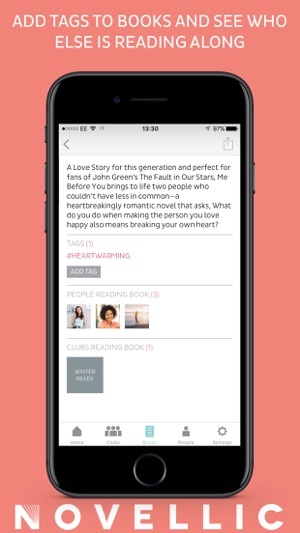 Novellic also curates book recommendations for readers. Based on personal preferences and reading tastes, a store is personalized with editorially recommended book titles which you can purchase and read on your iPhone. Hello book clubbers! We have some great improvements in this update. First of all the housekeeping - we have squashed quite a few nasty bugs including one that caused the app to crash when you picked a book while onboarding. We have also made things prettier - the book clubs listing page in particular is looking dapper with the book covers showing up. We've also added more options for you to buy print books from within Novellic so you never run out of books to read! Lastly, we are excited to announce that we're supporting Worldreader and their mission to get children and families around the world reading more! Sorry to hear that! Can you get in touch and let us know if you're on an iPad or iPhone and we can help you sort through any issues? Update: We have squashed quite a few bugs in the new version of Novellic! We would love it if you would give it another try and let us know what you think! Thanks! Its good but it could be greater. More people would make it better and more book choices and genres and maybe put a thing where you can get the book for free. This is great feedback! Thank you for this review - we are continuously adding books and genres to the selection but we also feed from the community so let us know what books and genres you like! 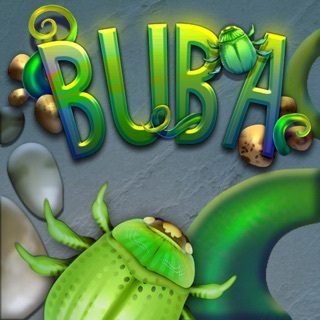 This app could be improved by allowing android users to download the app, or at least use a web version of it. It limits the people we can invite to join the book club. 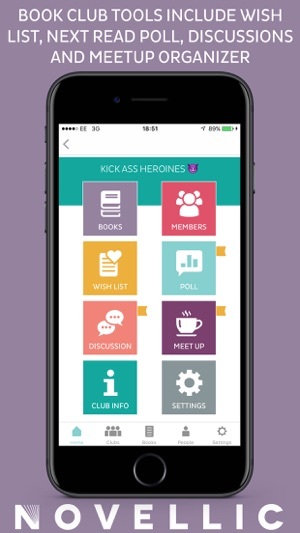 This app has a lot of positive features that are perfect for our needs but some of our book club members are excluded because of this issue. Also, it would be nice if more options were available to look at through the different genres and not show books that I have already selected for my favorites and/or wishlist. Thank you for your review! We completely understand your frustration with no Android support and are working on addressing that - please be patient with us and look out for an e-mail when we're ready to launch on web and Android!